TBWA Hunt Lascaris recently won gold for radio advertisements at the 40th Annual Loerie Awards with its campaign for the Apartheid Museum. In the ad, Donald Trump sounds just like H.F. Verwoerd during the darkest days of apartheid. The problem is, much of the audio is fake. The Money Show’s Bruce Whitfield interviewed (scroll down to the bottom) TBWA Hunt Lascaris CEO, Sean Donovan. TBWA Hunt Lascaris confirms that it inadvertently took some of the sources believed to be trustworthy and used them in its recent award-winning “Past and Present” campaign at face value and should have dug deeper. The company’s internal investigations in which all sources were submitted for further verification revealed that seven of the 27 quotes it used in the campaign appear to be in question as to their true authenticity. The campaign, which is no longer on the airwaves, was a three-part series for the Apartheid Museum which compared the quotes of famous people in history. The campaign juxtaposing Verwoerd and Trump won an award at The Loeries Awards a week ago. The campaign drew attention to a message which remains highly relevant - the uncannily similar quotes made by apartheid architect Dr HF Verwoerd and US President Donald Trump. We always apply in-depth research and fact-checking in all our work and it was certainly never our intention to attribute the wrong quotes to anyone. For that we unreservedly apologise. But the lesson is certainly that even trusted sources need to be questioned. We certainly apologise for taking those sources at face value and had no malicious intent to misrepresent the facts. We trusted them and had no reason to doubt that the sentiments being expressed were not those of either Verwoerd or Trump. TBWA is in communication with The Loeries and has provided full details of their investigation. 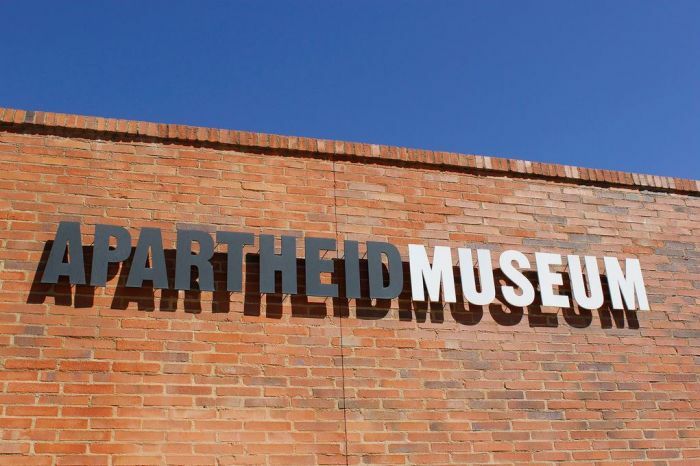 As a proactive measure and to ensure the integrity of the Apartheid Museum, the agency has pulled the campaign and will be handing the award back. Listen to the interview in the audio below (and/or read quotes from it). Bruce Whitfield interviews TomorrowToday futurist Graeme Codrington and branding and advertising expert Andy Rice.